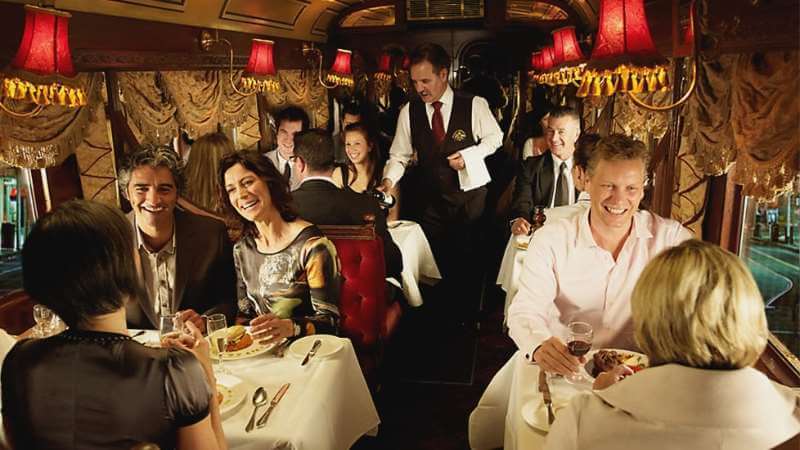 The Colonial Tramcar Restaurant Melbourne is a dining experience like no other. 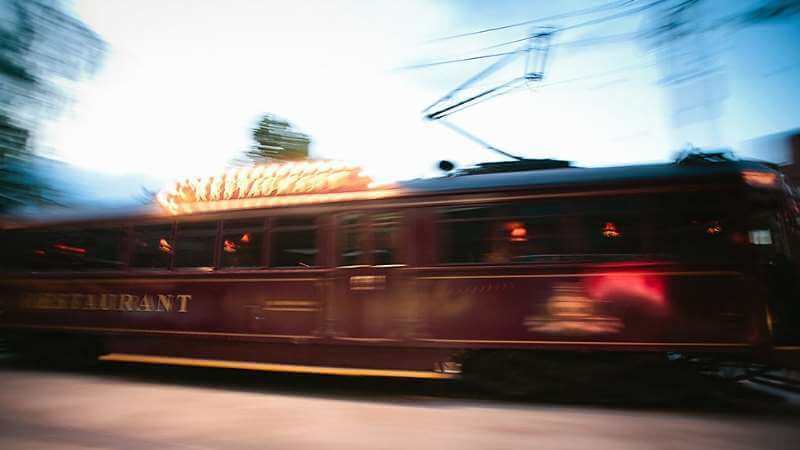 These glossy, burgundy restaurants on wheels are the first travelling Tramcar Restaurants in the world and ensure a delightfully innovative approach to dining. The atmosphere onboard the Colonial Tramcar Restaurant is cosy, the service friendly and the decor as inviting as the colonial period these trams reflect. Since their inception in 1983, the restaurants have become a star attraction and a tourism symbol for Melbourne. Dining in the tram restaurant in Melbourne is not only a culinary delight, but a trip into a little piece of Victoria’s history. 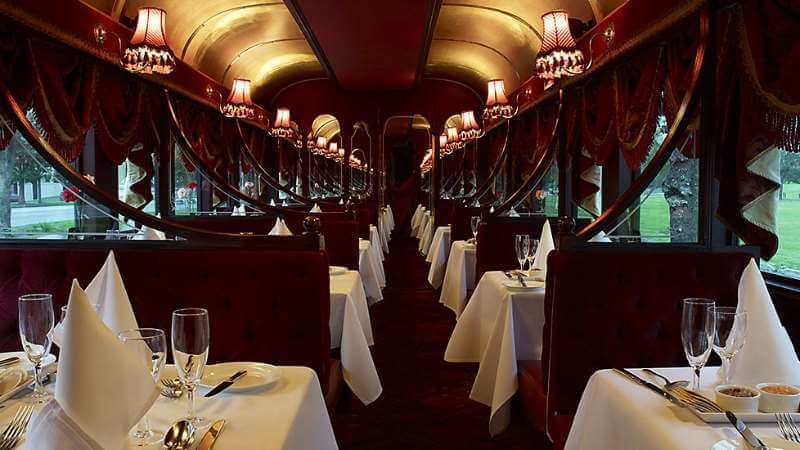 The trams have been carefully refurbished to provide all the modern conveniences you would expect from a first class restaurant; comforts such as seats covered in plush velvet, beautiful brass fittings to cast a cosy glow and background music to add to your dining experience. The trams are air conditioned and have stabilisers fitted to ensure a smooth ride. 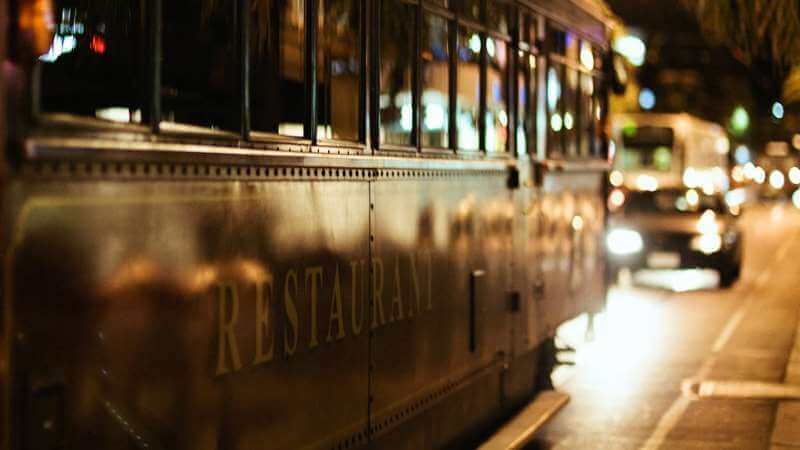 As you cruise the city streets of Melbourne and its suburbs on the Colonial Tramcar Restaurant, choose from either a three course or a five course seasonal menu, all accompanied by quality Australian wines at an all inclusive price. Please note, we recommend that due to its popularity, this Freedom Day activity is pre-booked before you leave the UK. Your Distant Journeys travel expert will be happy to assist you.